Access peace, creative expression and your inner wisdom. Whether you are an experienced or beginning meditator you can benefit from a period of silent meditation to quiet the mind and reset your priorities. Clearing through the mind with the aid of silent meditation, we discover that just below the surface of our thoughts and emotions, there is a clear and peaceful mind and heart that offer creative and clear directions. This creativity and self-awareness connects us with our deeper selves and each other. Facilitator, Harsha Palli, B.Tech, has an M.S in Computer Engineering, is an IT Architect, and has practiced Raja yoga meditation since 2005. He resides at our San Francisco center and facilitates classes and retreats at Anubhuti. 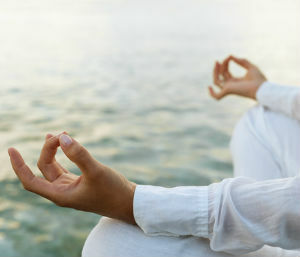 Harsha specializes in creating a very calm and clear environment for others to experience deep meditation and insights. All workshops and retreats at Anubhuti are made possible by the generosity and contributions of the participants. To make your contribution now, click the PayPal button below. After checkout is complete, you will be redirected to this website.